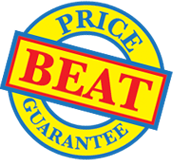 Our best-selling ID Badges make ideal conference badges or name badges backed by our Price Beat Guarantee. A high quality ready-to-wear conference badge, name badge or ID badge at a price others charge for a budget badge. The thumb-hole cut in the badge holder allows easy removal of the insert. 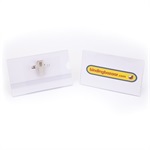 The semi-rigid badge holder protects the insert from creasing or folding. The dual fastening crocodile clip and safety pin allows the user to clip on to a pocket or pin through clothing as preferred. Use for conferences, exhibitions or networking events where a professional impression is a must.